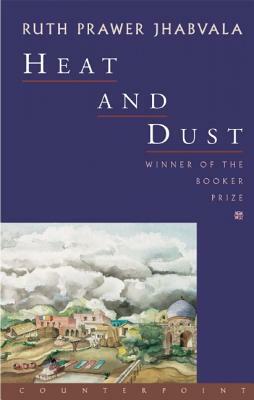 Partly set in colonial India during the 1920s, Heat and Dust tells the story of Olivia, a beautiful woman suffocated by the propriety and social constraints of her position as the wife of an important English civil servant. Longing for passion and independence, Olivia is drawn into the spell of the Nawab, a minor Indian prince deeply involved in gang raids and criminal plots. She is intrigued by the Nawab’s charm and aggressive courtship, and soon begins to spend most of her days in his company. But then she becomes pregnant, and unsure of the child’s paternity, she is faced with a wrenching dilemma. Her reaction to the crisis humiliates her husband and outrages the British community, breeding a scandal that lives in collective memory long after her death. RUTH PRAWER JHABVALA is author of twenty books. She was the recipient of Booker Prize, a MacArthur fellowship, and has been honored with an Award in Literature from the American Academy of Arts and Letters. Jhabvala’s screenplays for Merchant-Ivory Productions earned two Academy Awards. She passed away in 2013.